Baldies Beware - Who is touching your scalp? Baldies Beware – Who is touching your scalp ? Home > Blog > Hair Transplant Articles > Baldies Beware – Who is touching your scalp ? 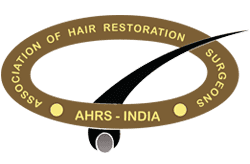 Hair transplantation is a unique, meticulous medical procedure which has become a boon for the bald people when performed by certified hair transplant surgeon in the field gives a permanent solution to baldness. It helps to improve the patient’s appearance, confidence and looks !!!. But, a poorly done hair transplant by non-doctors exaggerate the problem by not only making the recipient area bad but also the donor area ugly. 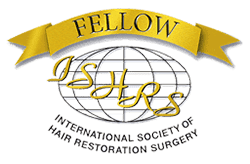 A recent article published by International Society of Hair Restoration Surgery dealt extensively on the problem with illegal clinics operating all over the world (especially in Turkey, Pakistan, Iran, India, etc) . These people offer hair transplants at a very low cost that often come with disastrous and irreparable results. According to the ISHRS, most of these patients come from Europe, Australia and countries in the Middle East, desperate for a miracle cure without having done the necessary market research first. While the initial investment may appear quite low, the long-term effects of having to reinvest and the burden of frustration are far more detrimental to the patient’s overall well-being. If official figures are to be believed, Turkey had 100,000 hair transplant tourists in 2015 – that's 273 a day. The black market clinics gives 100 % guarantee that the patient will look like his dreams, which ultimately ends in frustration.The Turkish Society of Plastic Reconstructive and Aesthetic Surgeons and the International Society of Hair Restoration Surgery have both issued warnings for patients should be aware of potential health risks due to illegal clinics. By Law, hair transplant surgery can only be performed in a hospital by a certifieddoctor, dermatologist, plastic surgeon or cosmetic surgeon. The hospital should clearly state the procedures of hair implant surgery treatment in its records. It must be equipped with an emergency unit and minimum of one surgery room. It should also be properly registered with the national healthcare system according to laws of country. But illegal clinics operate in residential buildings, saloons or the spas.In these unlicensed clinics, the surgeons leave the work to technicians, inexperienced medical students and even to people with no medical training.Unnatural hairlines are a hallmark of the inexperienced technicians doing the surgery. For them, it is only the number of grafts and not the aesthetics” thereby spoiling the hairline of a lot of people. Apart from post-surgery infections or unsatisfying results, the patients’ lives are at risk, as hair implants are not simple surgery as promoted by clinics in the black market. If the patient has a heart disease there is a very real danger of serious injury or even death. These illegal clinics are no longer limited to the above countries but have now also spread to major European countries such as Germany, the Netherlands, and Belgium, where they manage to provide authorizations through the coverage offered by the certified Turkish medical doctors. Thousands of patients are endangering their health by falling prey to these unscrupulous methods which in no way honour the integrity of the medical profession. Patients suffering from hair loss should be very careful in choosing who they trust with their hair transplant. 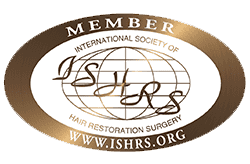 It is essential to remember that hair transplantation is a surgical procedure and should be approached in the same way one would approach any medical procedure. 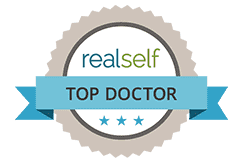 It is important that you be in the capable hands of a physician at all times who has been specifically trained and certified in hair restoration. This medical doctor should be happy to provide their credentials for you and answer any questions you might have, every step of the way. Here at AK Clinics, transparency is one of our key values and what has allowed us to build lifelong relationships with our patients based on trust. 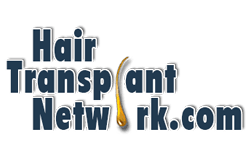 What is FUE Hair Transplant and how it Works?